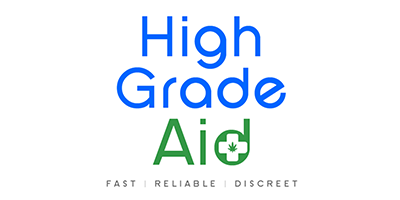 High Grade Aid is one of Canada’s leading medical marijuana delivery services, providing customers across Canada access to Vancouver’s most popular cannabis strains. They aim to provide the best value, service, and highest quality marijuana to their members. Currently, marijuana use is only legal for medical purposes and High Grade Aid required that you create and account and submit supporting documents before you buy marijuana online. To register with High Grade Aid, you will need a government issued photo ID and a picture of your face to verify your identity. In addition to your identification, you must provide proof of your medical condition (e.g., prescription, ACMPR Authorization, doctor’s recommendation, proof of membership to a different marijuana supplier). Once you have successfully registered with High Grade Aid, you will be able to place orders in the marijuana online shop. High Grade Aid ships orders quickly and reliably, with most packages arriving between 1 and 3 business days.